The weather pattern in Central Florida is beginning to shift. With upper-level air warming, the storms are likely to be tamer than we've seen this year. In addition, the movement of the almost-daily storms is more south to north than west to east. That allowed Thursday's storm to skirt along the western, inland border of Brevard County and never really threaten Melbourne or other populated areas. 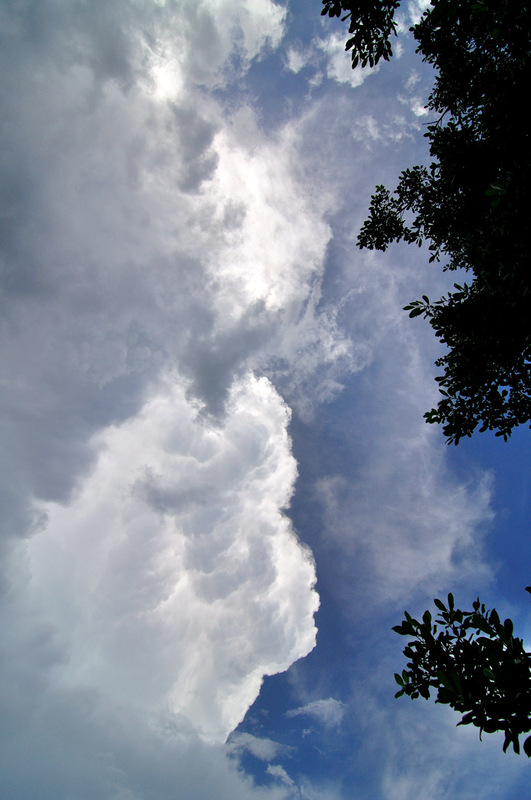 Nevertheless, I enjoyed the boundary of this thunderstorm. To the east, blue sky. To the west, a formation I have come to call an explosion of white clouds. It's similar to that rippling, textural definition you'd see in an orange fireball.